1036 Volvo Parkway, Suite 2, Chesapeake, VA 23320 ph:(757) 410-5462 a division of MidAtlantic Women's Care, PLC. develops plans based on each clients needs. Our nutritional expert does not believe that "one diet fits all" when it comes to her patients in Chesapeake, Virginia Beach, Norfolk, Portsmouth, Williamsburg, Hampton Roads, Eastern Shore, Richmond, Virginia, and North Carolina. Our philosophy and experience to weight loss show that eating the right foods in the right amounts can be very therapeutic and aid in helping one feel their healthiest and strongest. It will never get any easier than TODAY to start making healthy lifestyle changes and start achieveing weight loss! Research suggests the nutritional deficiencies and diet are at the root of many chronic diseases. Here at Synergy, we can order innovative nutritional tests that can identify deficiencies and help tailor individualized recommendations for improved health. Click here to download the Nutrition Intake Form. Click here for Nutritional Wellness Consultation services and pricing. Click here to EMAIL Certified Nutrition Specialist Lynise Perry. Synergy is dedicated to offering the best supplements to our patients for their long-term health, healing and weight loss, and this store can help us achieve that. • They are high quality supplements with rigorously tested ingredients free of contaminants. • The simple, easy-to-use online store includes an auto-shipment function. • There is a dedicated customer service team to serve you when needed. Click here to review our nutritional supplement products, and feel free to call Synergy at (757) 410-5462 if you have any questions. 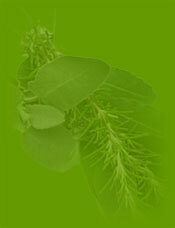 Herbal medicine has been practiced in China and native cultures around the world for thousands of years. It is a holistic approach to health using plant and biologic substances that combat illness, promote healing and instill balanced health. Nutritional supplements and herbal preparations may consist of a single herb or multiple substances, and may be given in tablets, powders, tinctures, topical formulations, or brewed into teas or soups. At Synergy, we use only herbs and supplements that have been manufactured in the U.S. and are tested for potency and biologic, pesticide or metal contamination. Our next free seminar will be held in the fall and will focus on bioidentical hormone therapy and optimal aging for women and men. To reserve your seat now, or to ask questions if you cannot wait that long, please call us at (757) 410-5462. Seminars are held in our office in Chesapeake (Greenbrier area). Synergy, located in Chesapeake, Virginia, is an integrative medical center for women that combines the best of traditional and holistic medicine. Our nutrition expert specializes in weight loss and nutritional medicine for women and men in Chesapeake, Virginia Beach, Norfolk, Portsmouth, Williamsburg, Hampton Roads, Eastern Shore, Richmond, Virginia, and North Carolina. For more details, please contact us at (757) 410-5462 or info@synergymedicalcenter.